We are delighted to inform you that the author, Oskar Jensen, is coming into talk to Years 4, 5 and 6 about his writing on Friday 8th July. 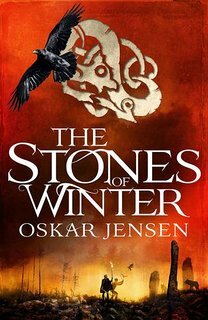 His books, 'The Stones of Winter' and 'The Wild Hunt', are about a Viking tale of myth and magic. Thrilling and spellbinding! Books will be for sale via parent pay. We hope that you will support this event. 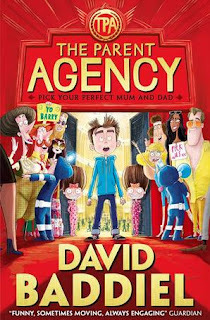 The fabulous author of 'The Crabtree School' series is coming back to visit us this month. She will be holding creative writing and drawing workshops with the Year 4 classes. 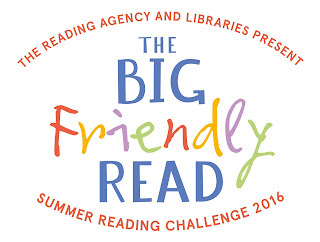 Watch out for the Summer Reading Challenge 2016! Coming to a library near you! Every year thousands of families all over the country take part in the UK's biggest reading event for children in libraries, the Summer Reading Challenge, run by the charity The Reading Agency. The aim of the challenge is to get children to read any six books of their choice from their library during the summer holidays. Every year there's a different theme; this year it's 'The Big Friendly Read', as a link up with the global year-long Roald Dahl 100 celebrations, honouring the world's No.1 Storyteller. To promote this event we have a librarian from our local Archway Library coming in to talk to the children to explain how to join in. We will be celebrating all winners in September. Come on and join in! An incredible, heart-wrenching sequel to E.Nesbit's 'Five Children and It', set on the eve of the First World War. 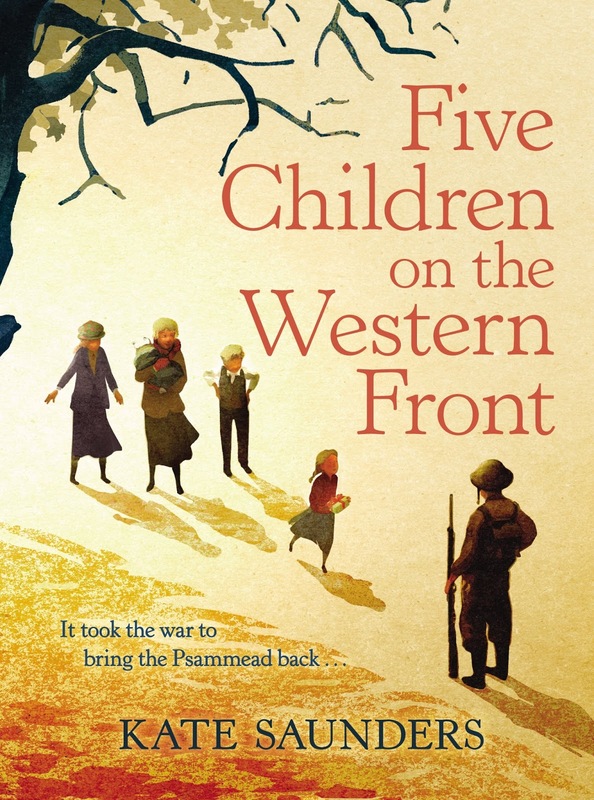 The five children have grown up - war will change their lives forever. More new books were unwrapped in the library this week. In the hardship of war, everything is rationed – except true friendship. 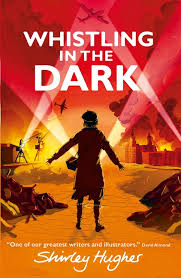 From much-loved author Shirley Hughes comes a compelling wartime adventure set during the Liverpool Blitz. A monstrously funny debut from the new star of middle-grade adventure. THEY'RE COMING! 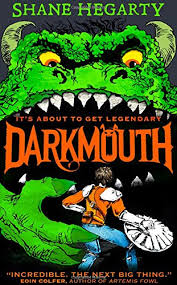 Legends (also known as terrifying, human-eating monsters) have invaded the town of Darkmouth and aim to conquer the world. But don't panic! The last remaining Legend Hunter - Finn - will protect us. 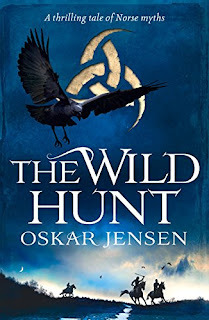 Finn: twelve-years-old, loves animals, not a natural fighter, but tries really, really hard, and we all know good intentions are the best weapons against a hungry Minotaur, right? On second thoughts, panic. PANIC NOW! There was lots of excitement in this week's class session as the children helped me unwrap some of our new books. The children had to guess what book was in the parcel. Clue: "I wish I had better parents!" Barry has always hated being called Barry. In fact, its number 2 on the list of things he blames his parents for, along with 1. 'being boring' and 3. 'always being tired'. But then one day Barry makes a fateful wish, and finds himself in a world where everything is Upside Down. The children helped me to unwrap more books. 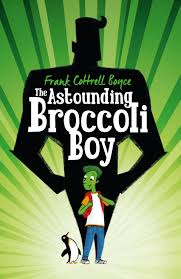 Clue: "Unlike broccoli this book is good"
The children had lots of fun trying to guess the title. They used every possible adjective (amazing, astonishing, extraordinary, marvellous, stunning, incredible) before they came to 'astounding'. Then one lucky child got to borrow the book from the library. Rory Rooney likes to be prepared for all eventualities. But Rory isn't prepared when he suddenly and inexplicably turns green. Stuck in an isolation ward in a hospital far from home with two other remarkably green children, Rory's as confused by his new condition as the medics seem to be.